Next Generation high end quality synthetic made to last. 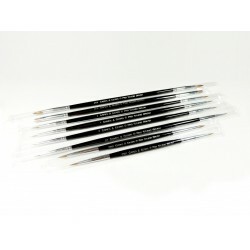 The worlds best hobby starter synthetic brushes for starters, intermediates and masters. 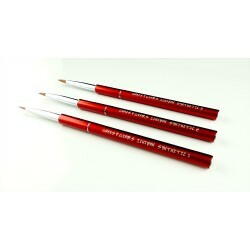 Games & Gears WGC Hydra Brush set, is the first in line of the premium quality high end synthetic brush line. Master crafted with a pro comfort premium wooden handle lush with a premium coat of superior white, for the ultimate painting experience. The synthetic hair on this set is the highest grade of synthetic hair making it stand out to all the other synthetics. To insure you feel quality with every brush stroke.